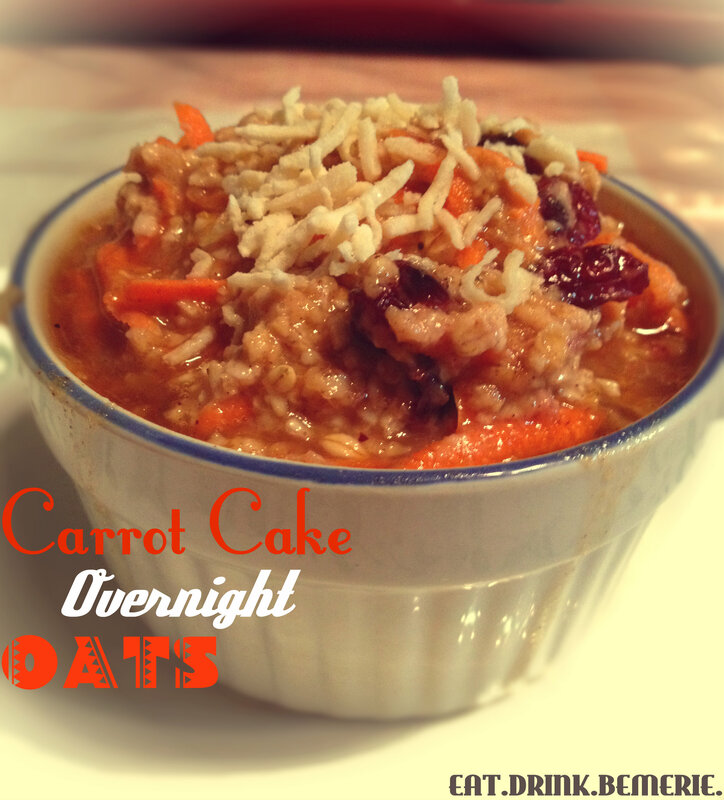 Carrot Cake Overnight Oats | eat. drink. be merie. A glimpse into the life of a mommy, student, and kitchen experimentalist. Oh, what a glorious morning! Today is the first day of Spring that I could put on a spring dress and walk out the door without putting on a jacket. Sun, warmth, happiness. Elle could not wait to go play outside! Shaun took her outside without shoes on and every time that he would try to put her feet on the ground she would lift them up, squeel and hold on tight to him! She loves being outside, but has not yet conquered her fear of the grass on her feet. Once she got her shoes, though, there was no stopping her! That girl is fast! We ended up going on a walk and wound up at the playground where we let her wear some of her energy off. We knew it was time to head home when she started nodding off as I was swinging with her on my lap. How did I fuel my baby girl for outdoor play time? With some delicious Carrot Cake Overnight Oats, of course. Usually Elle doesn’t eat that much at breakfast time, but today she ate her oats, followed by some giant strawberries, toast with black currant preserves, and yogurt. I think she might be going through a growth spurt. Just maybe. Mix all ingredients together. Store oatmeal in a sealed container like a mason jar, or an empty peanut butter jar. Refrigerate over night so that the oats soak up all the moisture and flavour. When you are ready to eat, you can heat it up in the microwave for a minute, which really unleashes the sents and flavour of the spices! It is also good just cold, as it is. I topped mine off with some shredded coconut and extra raisins, and a little drizzle of maple syrup. SO. GOOD. I hope everyone enjoys their weekend! Follow me on Instagram for my life in pictures!